Lok Kabi Ratna Haldhar Nag, who was awarded Padma Shri today, is a gem of a poet who has miraculously brought poetry closer to the mass and revived a never before public interest in literature at a time and place considered unfavorable for poetic activities. He has authored a number of long poems and hundreds of lyrics and can compose at will. He goes on reciting his creation in public platforms enthralling audience. He is a living legend who has been felicitated by more than 330 institutions till now. Hundreds of budding poets imitate his style and technique boosting a robust “HaldharDhara” in Western Odisha. He fights for the oppressed through his writing and social reformation on the basis of human dignity is high on this Poet-Crusader’s list. He has been at the forefront of the Sambalpuri-koshli language movement for inclusion in 8th schedule of Constitution. Haldhar Nag was born in a poor family of Ghess in Bargarh district of Odisha on March 31, 1950. He lost his father at the tender age of ten. An elementary school dropout, he worked as a cook in the hostel mess of Ghess High School for 16 long years. In the mean while he married Malati and was blessed with a daughter named Nandini. He was certainly not a man of means but his poetic fragrance lured many. With the help of a well wisher Nag managed to built a kiosk in front of the school to sell stationaries and eatables . That was the era of ink pen and he used to feel ink in the student’s pen for ten paises . That cabin has now been renovated and serves as a memento for his admirers and scholars, who frequent the place for their research work these days. Nag wears his fame lightly. He looks quite ordinary clad simply in a white dhoti and vest. He has inherited the vision of poetry from his imagination and his rustic surroundings . The sixty five year old poet initiated his full-fledged literary journey with his first poem “Dhodo Bargachh” (The old bunayan tree) in 1990. He has been very prolific and has a series of work to his credit including poetry collection like ‘Bhaab’, ‘Surut’ and mora than 20 epics like ‘Achhia’, ‘Bachhar’, ‘Mahasati Urmilla’, ‘Tara Mondodari’, ‘Siri Samalai’, ‘PremPaichan’, ‘Vir Surendra sai’, ‘Santha kabi Bhimabhoi’, ‘Rushi kabi Gangadhar’ etc . Most of these work are included in the first volume of the “Haldhar Granthabali” published by Friends Publisher, Cuttack. Sambalpur University is now coming up with “Haldhar Granthabali-2” to publish the remaning work of Nag, which will form a part of the University syllabus. 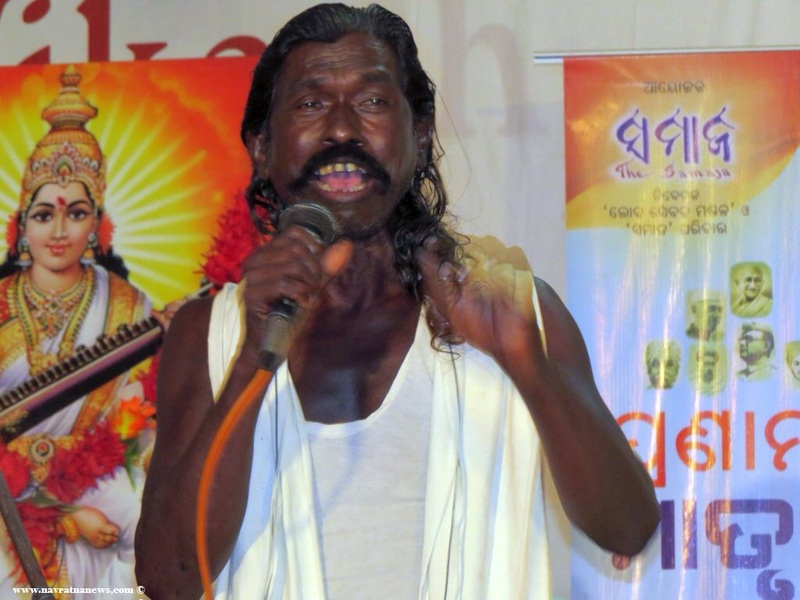 Acclaimed as a rare creative phenomenon in odisha, Nag is revered by his people as their own poet. Already an icon, he has to attend functions almost daily and dozens of podiums are named after him. He has earned epithets like Koshalkuili, JadavakulaGourava, KoshalRatna, Jadavjyoti etc. He is invited to universities in west Bengal, Andhrapradesh and Chattisgarh etc. Sambalpur University has honored the poet with the coveted Brahmaputra award. He was also honoured by the Odisha Sathiya Academy for his work in development of language in the year 2014. 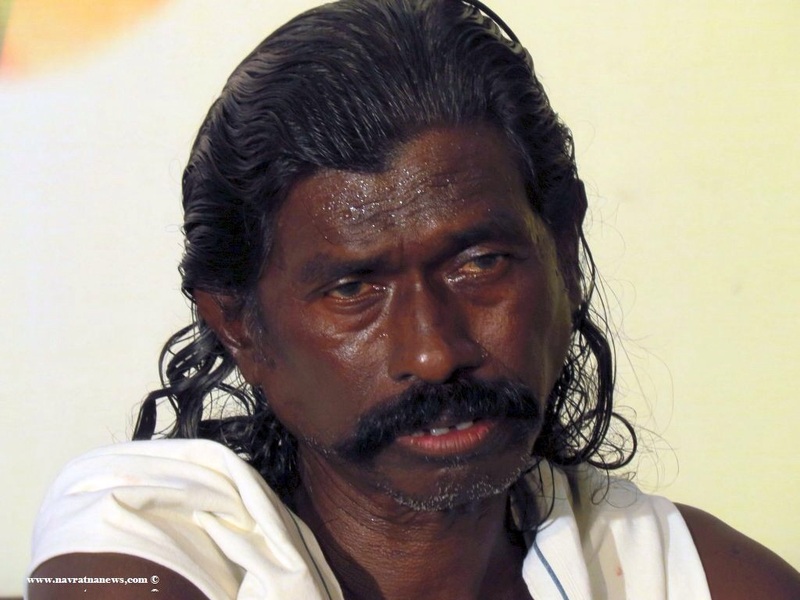 Haldhar Nag writes in Sambalpuri-Koshli, which is used by half of the people in Odisha spread across 10 districts. It is worth mentioning that Nag has won the heart of people in the rural pockets of the state by his poetry. The tag lok kabi ratna fits him well for he has impressed many illiterate poetry-lovers who can’t read book. It is a tribute to the poet that well meaning citizen of odisha have established institutions like Lok kavi Hadhar Sanskrutik Parishad, Loka Kabi Haldhar Bana Bidyalaya, Haldhar Mandap etc. Even the BBC has made a documentary film on his life and work. And now a few more documentaries on his work and life are in process. There was a time in Western Odisha when poetry was considered a luxury of an intellectual minority, but today, thousands wait with bated breath to listen to the poetry of Haldhar Nag . He has become a regular feature in social congregations and literary meetings and cultural festivals. He would recite his poems for hours to a mesmerized audience. He gives voice to the voiceless through his poetry and has rightfully become the most influential voice in Sambalpuri- koshli. He has been relentlessly endeavouring to bring the Sambalpuri-Koshli literature to a larger platform. Writings of Poet Haldhar Nag basically deals with themes related to nature, society, mythology and religion. He picks up his raw materials from the dark uncrowded alleys and focuses on the hitherto unanalyzed and unexplored territory. He portrays human life depicting the sufferings of protagonists carefully chosen from history, legends and mythology. In many of his poems, neglected woman from the fringe of the society boldly speak out against social oppression and exploitation. People in the lowest strata of life compel me to write poems, he says of his works which address critical social issues. His epic poem Achhian (Which means The Untouchable) is a strong critique of the caste structure and the protagonist fight for justice in the social system. For Nag, Poetry is not merely an individual expression of self rather it goes beyond and work as a weapon for the marginalized to fight for justice. He hardly writes about politics but his works reflects the rebellious spirit hidden among the mass ready to erupt in time. The subject of his poem and Kabyas “Mahasati Urmilla”, “Achhian”, “Tara Mandodari”, “Prem Pahechhan” and “Satia Biha” are based on women from mythology and analysed from his point of view . Two others – “Karamsani” and “Siri Samalai”- are based on the goddess of religion. To sum up, Haldhar Nag, who failled to clear class III exam, has been an awe inspiring genius, whose creativity is a theme for learned scholars and avid researches. But Nag is much more. He inspires the elites and the illiterate alike. It may be a miracle that a person composes poems in his mind and goes on reciting his work with ease and grace for hours. He may hold a record for achieving such huge numbers of felicitation and epithets. He is a much sought-after public figure. He has created a niche for himself and thousands follow him. An exceptionally creative person, Haldhar, has given the language of Western Odisha a new identity and he may just be instrumental in the inclusion of Sambalpuri-koshli language in the 8th schedule of the Constitution.